Conference Topic:"Introduction to Sustainable Energy Development Authority (SEDA), Malaysia"
Ms Catherine Ridu was formerly the Under-Secretary of Regulatory and Industry Development Division in the Ministry of Energy, Green Technology and Water from 25th April 2012 to 31st May 2014. Prior to that, Ms Catherine was serving as the Under-Secretary of the International Relations Unit Strategic Division in the Ministry of Women, Family and Community Development late 2010 to early 2012. 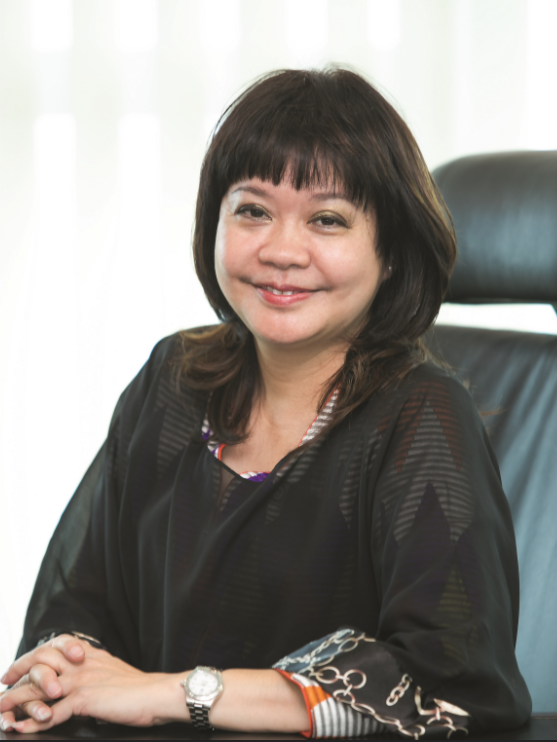 Ms Catherine was working in the Legal Sector as the First Legal Officer of the Sarawak Rivers Board and as the Legal Assistant of the Sarawak Economic Development Corporation (SEDC Sarawak). Ms Catherine read her Master’s Degree in Law with specialization in Electronic Law from the University of Melbourne. She has also earned a degree in Law from Universiti Teknologi Mara (UiTM) and a Diploma in Public Management (INTAN). Ms Catherine is an Ethnic Bidayuh from Sarawak, the Land of the Hornbills. Ms Catherine’s legal background, knowledge in energy pricing, involvement with the energy regulatory commission and electricity industry development are deemed as valuable attributes of great relevance to the Authority.